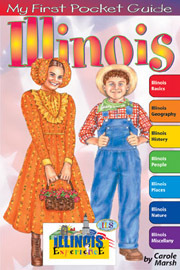 The Illinois Student Reference Timeline shows highlights of important events in Illinois from the past through the present. 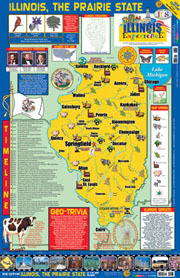 Each timeline is graphically designed to intrigue students to want to learn more dates and information about Illinois! 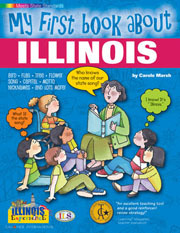 The Illinois Student Reference Timeline is 3.5” x 17” and includes ten timelines. 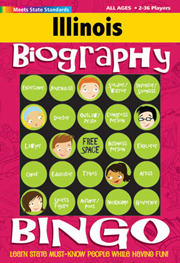 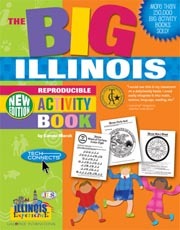 Great for teaching Social Studies State Standards! 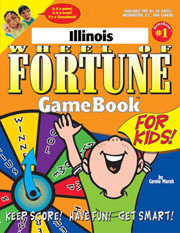 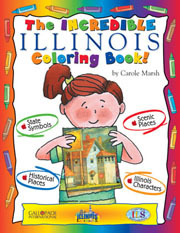 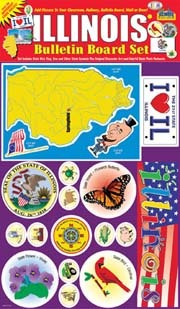 The Incredible Illinois Coloring Book!